Some Workout Supplements Contain A Banned Stimulant : Shots - Health News Some supplements sold to improve workouts contain a stimulant that's been banned and may pose health risks, according to tests. The Food and Drug Administration has warned seven manufacturers. Asafa Powell of Jamaica was barred from competition after testing positive for the stimulant oxilofrine. If you're taking sports supplements that claim to burn fat or improve your workout, you might want to check the label. Some of those supplements contain a stimulant drug that hasn't been approved in the U.S., is banned by the World Anti-Doping Agency and may pose health risks, according to research published Thursday. The paper comes just days after the FDA sent warning letters to seven manufacturers, saying the substance shouldn't be in their dietary supplements. Oxilofrine, also known as methylsynephrine or p-hydroxyephedrine, can stimulate the heart and is useful in some medical situations, such as enhancing heart function in patients under anesthesia, says Pieter Cohen, a general internist with the Cambridge Health Alliance, assistant professor at Harvard Medical School, and an author of the study. But it's not supposed to be in dietary supplements, which are sold over the counter and which by law are supposed to consist of "dietary ingredients." Cohen, who frequently conducts research on supplements, started looking into oxilofrine after several high-profile athletes tested positive for the drug. 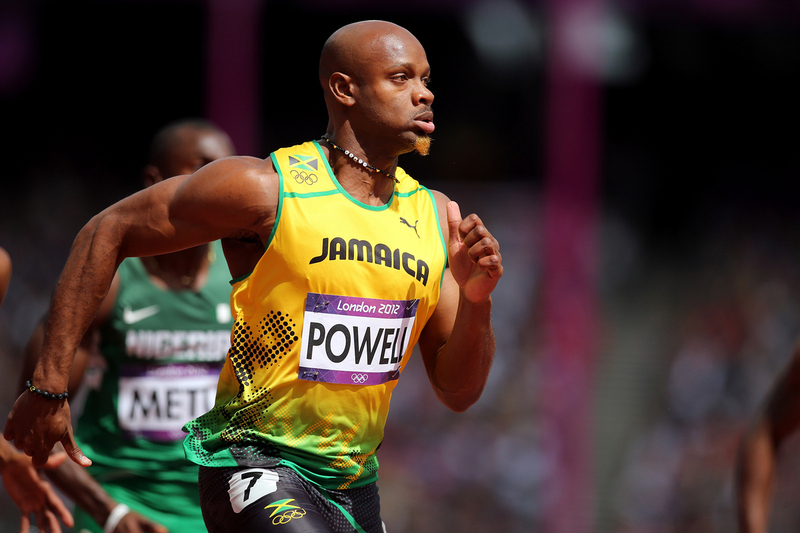 Asafa Powell, a Jamaican sprinter, blamed a supplement for a positive test that led to him withdrawing from the 2013 World Championships. Cohen found that methylsynephrine was openly listed on some supplement labels. "It's sold as a pre-workout supplement, to get pumped up and have better workouts," he says. It's also marketed for speeding fat loss. When Cohen and his colleagues ran lab tests on 27 supplement brands with methylsynephrine on the labels, they found oxilofrine in 14 of them. Some had a small amount of the drug, but six contained pharmaceutical or higher doses. One contained more than twice the usual adult dose and three times the usual adolescent dose, the study found. The health effects of that kind of dose aren't known, but research on lower doses suggests users might experience adverse effects including heart palpitations, arrhythmias and increased blood pressure, the study says. The FDA, meantime, has received 47 reports of adverse events associated with oxilofrine-containing supplements, though it can't say whether or not the supplements caused harm, says Steven Tave, acting director of the FDA's Office of Dietary Supplement Programs. The agency doesn't review supplements for safety and efficacy before they come to market, the way it does with drugs. The FDA took action against manufacturers because oxilofrine doesn't meet the definition of a dietary ingredient. U.S. law "defines a dietary ingredient as a vitamin; mineral; herb or other botanical; amino acid; dietary substance for use by man to supplement the diet by increasing the total dietary intake; or a concentrate, metabolite, constituent, extract, or combination of the preceding substances," the FDA said in announcing the warning letters. "Methylsynephrine does not fit under any of these categories, rendering misbranded any dietary supplements that declare methylsynephrine as a dietary ingredient." Since the lab tested one sample of each supplement, this should be considered a "snapshot;" the amount of the drug may vary in other batches of the same brand, says Cohen. In addition, researchers tested only for oxilofrine, and not for other stimulants that might be in the supplement. "If it's not something that's in the diet, folks shouldn't be selling it," says Daniel Fabricant, executive director and CEO of the Natural Products Association. His group represents supplement makers, but he says the companies warned by the FDA are not members of his association. He suggests that consumers always ask themselves why they're taking a supplement. "If you're looking for something to act like a drug, don't take a supplement," he says. The study appears in the journal Drug Testing and Analysis.